Deborah Baker Monday currently teaches in the Logan City School District Orchestra program. She is a cello/bass specialist working with fourth through eighth grade students. Ms. Monday received her B.M.E. from Florida Sate University with an emphasis in String Education and a M.M. in Composition from the University of Alabama. She began working on a D.M.A. in composition at Louisiana State University while teaching grades 4-12 in Baton Rouge. Ms. Monday is an active bass performer and private teacher. Her bass students have consistently received awards in the American Sting Teacher Association festivals and Utah M.E.A. Region and Solo competitions. She has served as adjunct bass instructor at Utah State University for several years and resides on the faculty of the ASTA with NSOA "Bass Fest." Ms. Monday has published numerous pieces for string orchestra with leading educational music publishers. She co-authored the Strings Extraordinaire and Artistry in Ensembles collections of performance pieces. She has presented various sessions at Music Educator's Conferences in Texas, California, and Colorado as well as Utah and Idaho. 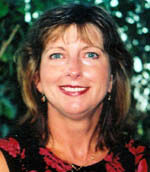 In 1999 she was named the Utah ASTA with NSOA Elementary Teacher of the Year. Most recently she received the Superior Accomplishment award at the Utah Music Educator's Conference in 2003 for her contributions to the area of educational music publications for string orchestra.